Halloween has easily become one of the best-loved holidays. There’s nothing we love more than being scared by villains, aliens and ghouls on October 31! People rushed out in their millions to see the following movies, and the sequels that came with them. The impact of the Jaws franchise can be seen through the movie series, video games, theme park rides and even a musical. The Steven Spielberg directed original was released in 1975, based on the novel of the same name. There were strong hints a few years ago that the original would be remade in 3D but unfortunately this hasn’t moved past a rumour. A Jaws movie hasn’t been released since 1987 but we’re still besotted with the story. The psychological aspect of the Saw movies has gripped us for almost 15 years. Jigsaw uses his personal pain to become a bit of a twisted moral compass for those who have done wrong in their lives. The traps are terrifying but you have to admit, he gets his point across. 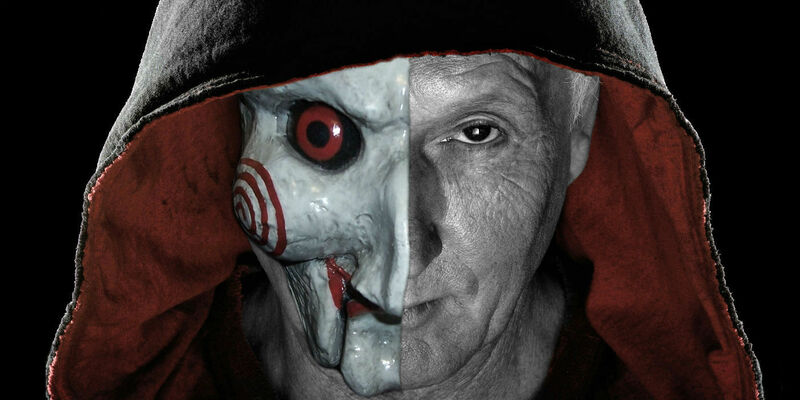 The most recent instalment of the franchise, Jigsaw, was released this month – we’re so glad Tobin Bell has returned to play John Kramer! The Paranormal Activity series has been so popular that it’s gone on to earn over 30 times its overall budget – an incredibly feat considering this is one of the youngest franchises in the list. Paranormal Activity first hit our screens back in 2007 with its eerie, found footage-style filming and spanned until 2015 so far. Paranormal Activity: The Lost Soul is due to be released this year on PC, PS4, Xbox One and will make use of PlayStation VR. Although this series has only been around for four years, its popularity has absolutely skyrocketed. The Conjuring series consists of The Conjuring, The Conjuring 2, Annabelle and Annabelle: Creation; but we’ll have to wait until next year for the next part, The Nun. The second instalment of The Conjuring focused on the Enfield Poltergeist case in 1977 and became the second highest-grossing horror film of all time. The Alien franchise has been around for almost 40 years and shows no signs of slowing down. In fact, Alien: Covenant has been released just this year as part of the prequel series. Ridley Scott took the reins on Covenant, just as he did with the original Alien movie. Alien helped to make Sigourney Weaver a household name as Ellen Louise Ripley. This franchise is head and shoulders above the rest when it comes to box office numbers! These horrors may be perfect for Halloween but you can enjoy them all year round! Get your horror collection started with musicMagpie.